Meet Titan (well we think that’s his name but until we see his papers we can’t confirm it!). We picked him up from a farm who didn’t know what to do with him – his companion had suddenly died last year and he had been left in the barn for the past 6 months. Being an entire, they couldn’t find a new home until we came along and brought him home. HIs hooves have never been cared for and he is very thin and frightened, but loving talking to the other donkeys over the wall. We’ve had a busy day as we also reunited Nanette with Belle and Lena – we’ve now found out that Nanette is their Mum. They were in a herd of 5 but unfortunately we never saw the other two so can only imagine that they left for the abattoir before we got there. The elderly couple who had previously owned them were shocked to hear where they were heading as they thought the dealer was trying to rehome them. 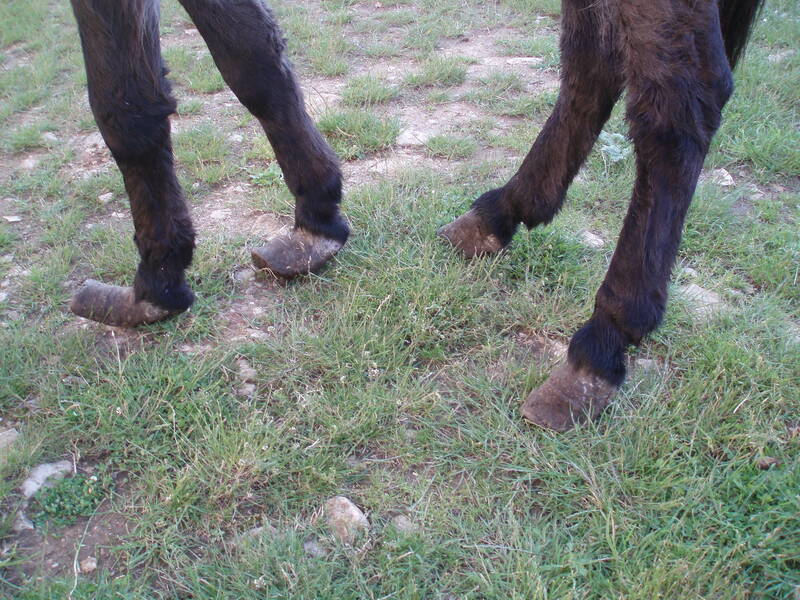 Neither of the owners we met today had any idea that leaving feet to grow like this causes the animal any hardship – this has only served to underline the education that is required here in France. On a positive note, we are very happy to confirm that the Donkey Sanctuary are going to help us with Nanette. 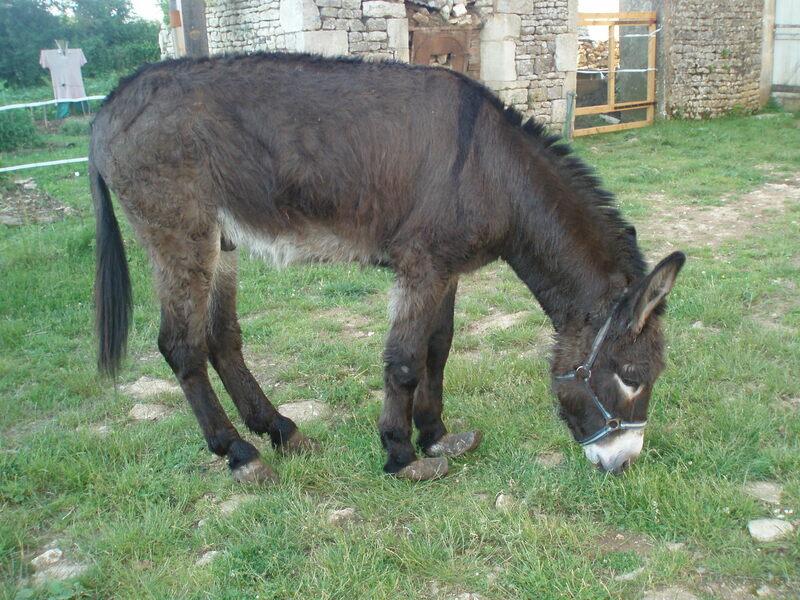 Our vet will be taking x-rays of Nanette next week and forwarding to the Donkey Sanctuary for review. We very much hope that this will lead to a stronger relationship between the two organisations as we need all the help we can get at the moment! Thank you to all our friends and supporters who have offered help. At the moment, we need all types of head collars and lead ropes and, of course, donations to cover the costs of worming, de-licing, farriers, vaccinations etc. You can donate in both £ or € via Paypal (full details are on our website) or by sending a cheque drawn on a French bank account to ERF, La Chaux, 86400 Linazay, France.